Today’s meeting will be just the third time that leaders from the two countries have met since the 1950 Korean War. Today, Kim Jong-un and Moon Jae-in will meet in the border village of Panmunjom for the first North-South Korean summit in over a decade. Today’s meeting will be just the third time that leaders from the two countries have met since the 1950 Korean War and the first meeting between Mr Kim and Mr Moon. While the exact agenda of the summit is unclear, the two leaders are expected to discuss denuclearising the Korean Peninsula and officially ending the Korean War. The two could also agree to restart reunions of family members separated by the war. While the summit has sparked optimism that peace can finally be achieved on the Peninsula—South Korea’s slogan for the meeting is “Peace, a new start”—serious obstacles remain. Indeed, denuclearisation could be particularly difficult to achieve, as nuclear weapons are pivotal to North Korea’s security. 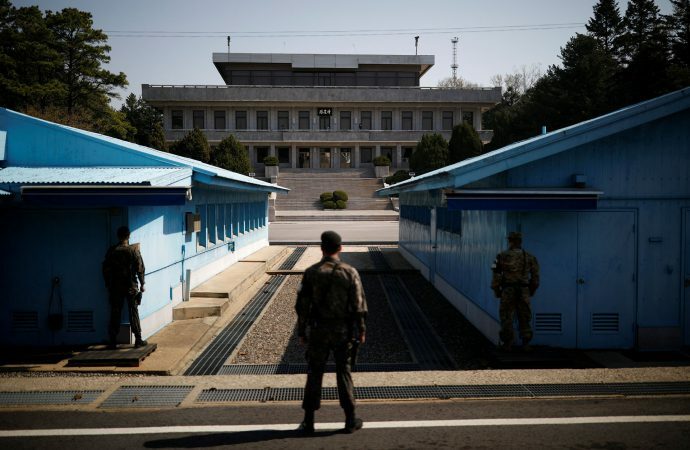 With the US and South Korea likely to balk at any North Korean demand to reduce or remove US forces on the Korean Peninsula prior to denuclearisation, the talks could quickly hit a wall.